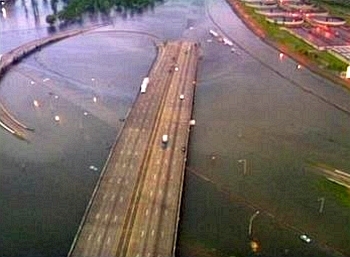 Labeling the May 1995 flood event in southeastern Louisiana and southern Mississippi "memorable" and "paralyzing" may be an understatement in regard to the episode witnessed by residents of the region. Beside the very heavy rainfall, severe weather occurred with two confirmed tornadoes (one F1 and one F2 as defined by Fujita's Tornado Scale [Fujita 1971]) in Louisiana. Indeed, the event was historic, catastrophic, and devastating from both a meteorological and human perspective. The event lasted about 40 hr, flooding over 44,000 homes, inundating countless roads, and impacting over one million residents. Damage assessments exceeded a staggering three billion dollars. Tragically, seven deaths occurred--six within the metropolitan New Orleans area and one in Harrison County, Mississippi. With extensive damage and scores of people needing immediate aid, President Clinton declared seven southeastern Louisiana parishes and four southern Mississippi counties disaster areas, qualifying them for federal assistance. Subsequently, the National Guard was activated to assist with evacuation and rescue efforts. In comparison, Hurricane Andrew's 1992 Louisiana impact tallied $1.76 billion, eight directly related deaths, 18,247 homes damaged, and 36 parishes declared federal disaster areas (Storm Data, August 1992). In the wake of the flooding, community response was extraordinary. Numerous organizations from both states and around the country donated food, clothing, financial assistance, and household goods to flood victims, many of whom had lost all their personal possessions. 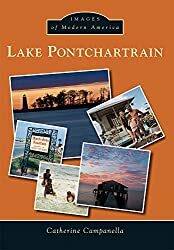 This catastrophic flood paralyzed many parishes and counties in southern Louisiana and southeastern Mississippi. The total event lasted about 40 hr. Virtually all roads were inundated or impassable during the height of the event, especially in the New Orleans metropolitan area and in the Covington to Slidell area of south St. Tammany Parish. Portions of Interstate 12 between Covington and Slidell were under water. Homes receiving water damage included 18,000 in New Orleans, 7,000 in Slidell, 15,000 in Jefferson Parish, and 3,500 in St. Charles Parish in Louisiana, and over 1,000 homes in southeastern Mississippi. 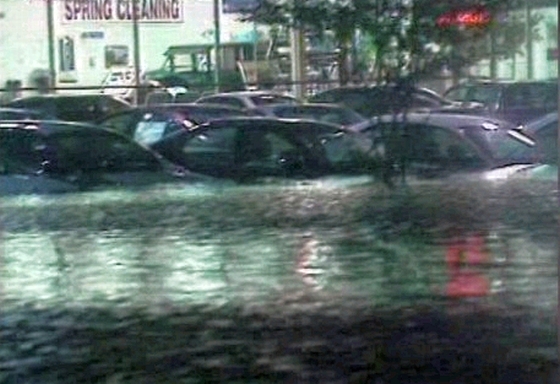 Well over a million residents were affected in some manner by the heavy rain and flooding. Seven parishes in Louisiana and four counties in southeastern Mississippi were declared disaster areas. Seven deaths were attributed to flooding. Six of the deaths occurred in the metropolitan New Orleans area. Five of these deaths were males ranging in age from 27 to 56 and occurred on May 9. The sixth, an infant, was found floating on water toward a drainage pump on May 11. There was one death, a female, in Slidell that occurred on May 10; however, her death was likely attributed to a traffic accident. The seventh death occurred in Harrison County, Mississippi, when a 32-year-old male in his vehicle was swept away by the swollen Wolf River north of Long Beach. Photo -- Joan of Arc Celebration in Orleans, France, May 8, 1984. Mayor Ernest N. Morial (far right); others unidentified. Photo -- Mayor Ernest N. Morial and Mayor Douffrigues of Orleans, France, in Orleans, May 8, 1984. Photo -- Cuban refugee ceremony at City Hall, May 8, 1961. Alexander Allison photo of Tulane Stadium--near front entrance gate for West Side reserved seat boxes, May 8, 1954.